The contents of this site, including the brands, logos, drawings, data, product or company names, texts, images, etc. are protected by intellectual rights and belong to the Federation Geido Tao Chi Kihon or entitled third parties. The information on the website is of a general nature. The information is nog adapted to personal or specific circumstances, and can therefore not be considered as personal, professional or legal advice to the user. Federation Geido Tao Chi Kihon makes every effort to ensure that the information provided is complete, correct, accurate and up-to-date. Despite these efforts, inaccuracies may occur in the information provided. If the information provided contains inaccuracies or if certain information on or via the website is unavailable, Federation Geido Tao Chi Kihon will make every effort to rectify this as quickly as possible. Federation Geido Tao Chi Kihon cannot be held liable for direct or indirect damage resulting from the use of the information on this website. If you find inaccuracies in the information made available, you can contact the site manager. The contents of the website (including links) can be adapted, modified or supplemented at any time without notice or notification. Federation Geido Tao Chi Kihon gives no guarantees for the proper functioning of the website and can in no way be held liable for a malfunction or temporary unavailability of the website or for any kind of damage, direct or indirect, that would arise from acces to or use of the website. Federation Geido Tao Chi Kihon can under no circumstances be held liable, in any way whatsoever, directly or indirectly, without limitation, of all losses, work interruptions, damage to programs or other data on the computer system, equipment, software or others of the user. The website may contain hyperlinks to websites or pages of third parties, or indirectly refer to them. Placing links to these websites or pages in no way implies an implicit approval of their content. Federation Geido Tao Chi Kihon explicitly declares that it has no control over the content or other characteristics of these websites and can in no case be held liable for their content or characteristics or for an other form of damage caused by their use. 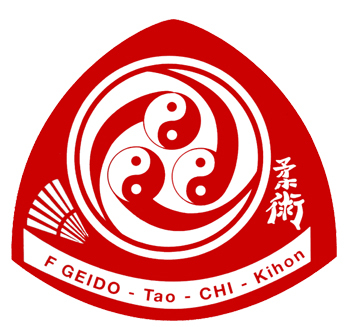 Federation Geido Tao Chi Kihon places great value on your privacy and the protection of your personal data. In this privacy statement we want to provide clear and transparent information about how we handle personal data.We make every effort to ensure your privacy and therefore handle personal data with care. In all cases, Federation Geido Tao Chi Kihon complies with applicable laws and regulations, including the General Data Protection Regulation (also known as GDPR). we are aware of your rights as an involved person with regard to your personal data, to make you aware of this and to respect it. to provide insurance for the members of the Honbu Dojo. We never pass on personal data to processors (other parties) than those with whom we have concluded a processing agreement. With these parties (processors), we of course make the necessary arrangements to ensure the security of your personal data. Furthermore, we will not pass on the provided data to third parties unless this is legally required and / or permitted, such as for example in the context of a police or judicial investigation. We can also share personal data with third parties if you give us permission for this. This permission can be withdrawn at any time, without this affecting the lawfulness of the processing for its cancellation. Federation Geido Tao Chi Kihon does not store personal data longer than necessary for the purpose for which it was provided or required by law. Federation Geido Tao Chi Kihon will not keep the data for longer than 20 years. our executive board (chairman, secretary, treasurer) has been informed about the importance of the protection of personal data. You can also lodge an objection to the processing of your personal data (or a part of it) by us or by one of our processors. Federation Geido Tao Chi Kihon can change the privacy statement at any time. The last change was made on May 20, 2018 .